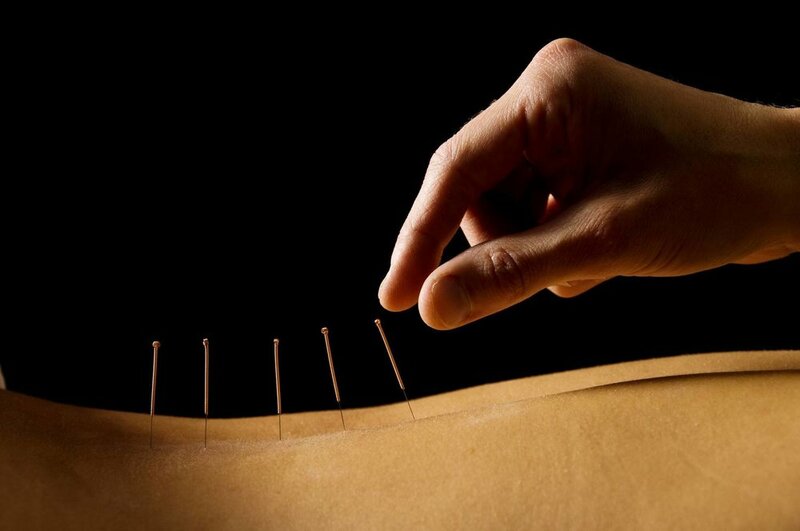 Dry Needling is a general term for a therapeutic treatment procedure that involves multiple advances of a filament needle into the muscle in the area of the body which produces pain and typically contains a trigger point. There is no injectable solution and typically the needle that is used is very thin. Most patients will not even feel the needle penetrate the skin, but once it advances into the muscle, the discomfort can vary from patient to patient. Usually a healthy muscle feels very little discomfort upon insertion of the needle; however, if the muscle is sensitive and shortened or contains active trigger points, the subject may feel a sensation much like a muscle cramp, often referred to as a 'twitch response".